My husband and I are currently on holidays in our favourite part of the world - Queensland. It's a drive of 2500 kms from our home. We enjoy driving off in our campervan each day with a very flexible plan and never quite sure where we'll be next time we stop. We love camping in the Australian bush and spend a lot of time spotting and identifiying our wonderful bird life. We have fantastic national parks and there's nothing better than waking up to the sounds of the bush. But this holiday has been VERY different. I'll keep you in suspense on the details, but we've had a week of amazing experiences and feel as if we're in the middle of a whirlwind! The amount of sewing I've done consists of sewing on a button and tying off some threads on machine applique which I did before we left home! 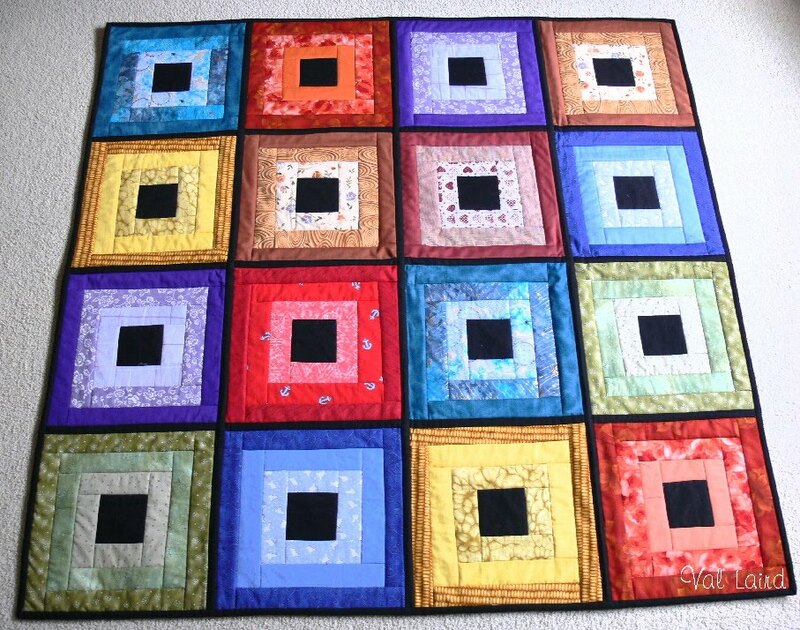 But I do have a photo of a scrappy quilt which I completed before our departure. I am so pleased to be using up lots of my stash! Seeing I don't have much to show you, I thought I'd let you see a couple of great examples of what people have done with the free Gifts of grace block pattern. 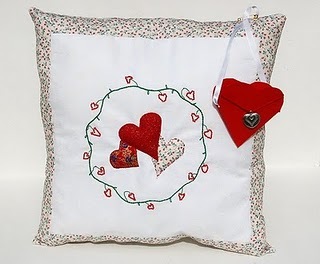 Don't you love what Chrissie has done in using the block on a cushion? 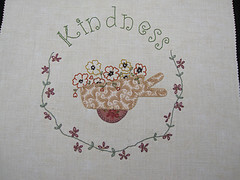 And here is a lovely version of the kindness block from Melody. Have a look on her blog to see a couple more blocks too. Sounds like you are having a wonderful and well deserved holiday! Have fun and enjoy the outdoors, there is nothing better than falling asleep with stars above and waking to the wonderful sounds of the morning! Well I can't wait to hear what you've been up to! I hope you're having a wonderful time. 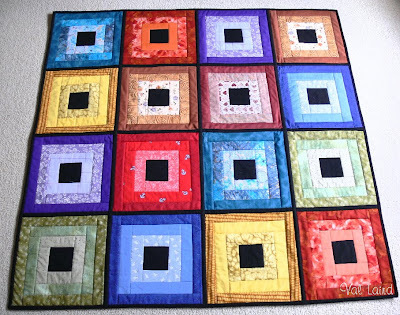 Love the pics, your scrappy quilt is stunning - very cheerful quilt!